First Minister of Wales Carwyn Jones will attend events in South Wales and Northern France to honour those who fought bravely one hundred years ago in the Battle of the Somme. The First Minister will lead commemorations at an overnight vigil at Llandaff Cathedral tonight [Thursday 30 June] before representing Wales tomorrow at a commemorative service at the Thiepval Memorial to the Missing. 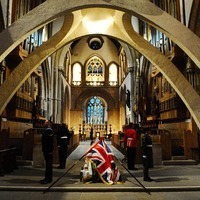 The public are invited to the overnight vigil at Llandaff Cathedral, which will conclude with a public service at the National War Memorial in Cathays Park, Cardiff at 7.30am on Friday. The vigil is part of the Welsh Government’s Cymru’n Cofio Wales Remembers 1914-1918 programme, which marks the centenary of the First World War. The service at the Thiepval Memorial has been jointly organised by the French and UK Governments and is the main event to commemorate the Battle, which was one of the defining events of the First World War. 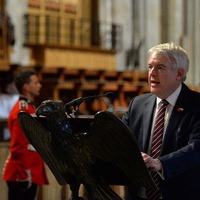 First Minister Carwyn Jones said: “I am honoured to represent Wales in commemorations and pay tribute to those who lost their lives during one of the largest and most terrible battles of the First World War.